In 2015 Universal Robots was sold to the US technology corporation Teradyne for 285 million dollars. 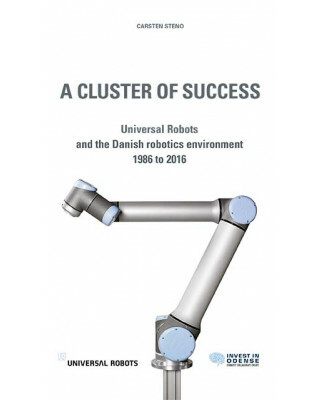 The spectacular sale of the Danish company, founded in Odense on the island of Funen, put Denmark on the world map as a leading centre for developing advanced robot technology. But the Funen robot cluster is much more than Universal Robots; today, the cluster has more than 80 companies operating in the area. The story of the cluster goes back 30 years. 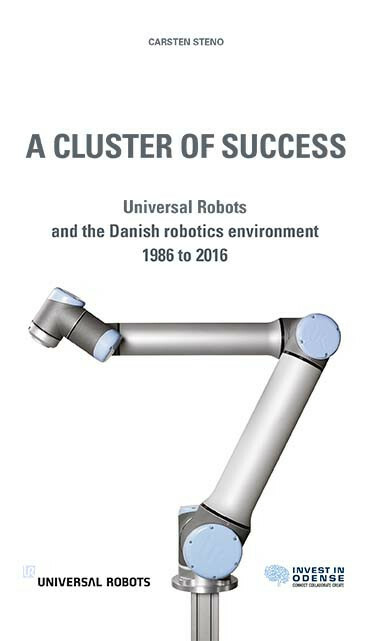 This is the story of visionary business people and scientists 20 years ahead of their time; of disappointments and failures, but also of forward-looking individuals and key actors in the business-policy sphere, who picked up the pieces at a critical time in the history of the Funen robotics environment – and developed the cluster into what it is today.